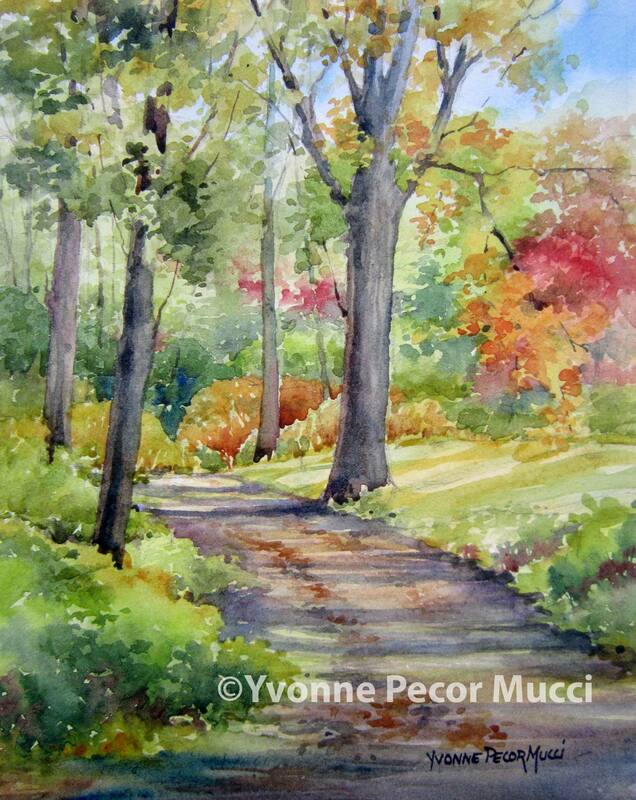 Morning Walk watercolor was painted during the Plein Air Brandywine Valley exhibit at Winterthur Museum and Garden. It depicts a little hiking trail behind Winterthur called Chandler Woods. I walked this trail and the adjacent meadow just on the outskirts of Winterthur after turning in my remaining paintings for the Plein Air Brandywine Valley competition. 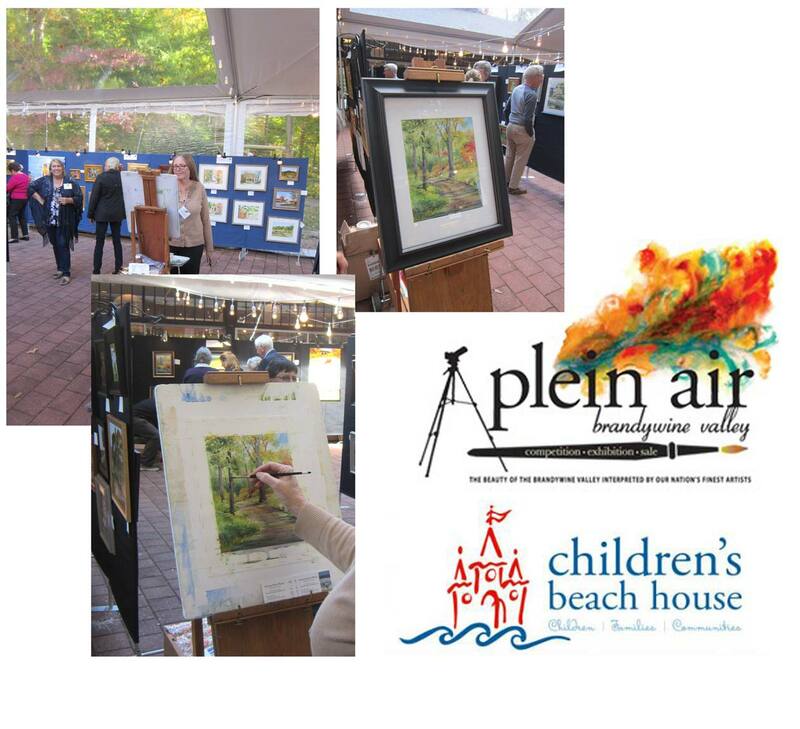 Great fun painting and conversing with patrons!